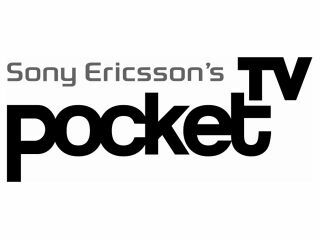 Sony Ericsson has announced Pocket TV, a free downloadable weekly TV show for your mobile covering music and entertainment. Although the debate over whether watching TV on your mobile is actually viable still rages, Sony Ericsson has decided that it is what people will want, and has hired a number of reporters to meet the likes of N-Dubz, Marilyn Mansun and Maximo Park. Each episode in the 13 week run will consist of five 90 second clips, which can be downloaded from dedicated website pockettvshow.mobi from any WAP enabled mobile phone (so not just those with Sony Ericsson handsets). And should you be anxious for more (or just so bored you want to watch it all again) you can check out the YouTube channel with extended three minute clips or a 15min show each week. The show will also cover entertainment, youth culture (which we'd have hoped SE would have called 'Yoof Culcha' to be down with the kids) including comedy, fashion and film. And there will also be contributions from Citizen Journalists, which are picked from those that post their own videos onto the YouTube channel... so you could even see you mate Dingle on there or something. Anyway, it all kicks off from 4 June, so head on over to the site to see what the kids are all talking about these days. Apparently it's neither Pokemon or Pogs anymore.